This was made with one list, one function, and 10 lines of parametric equations. Can you recreated it with only one line of parametric equations? 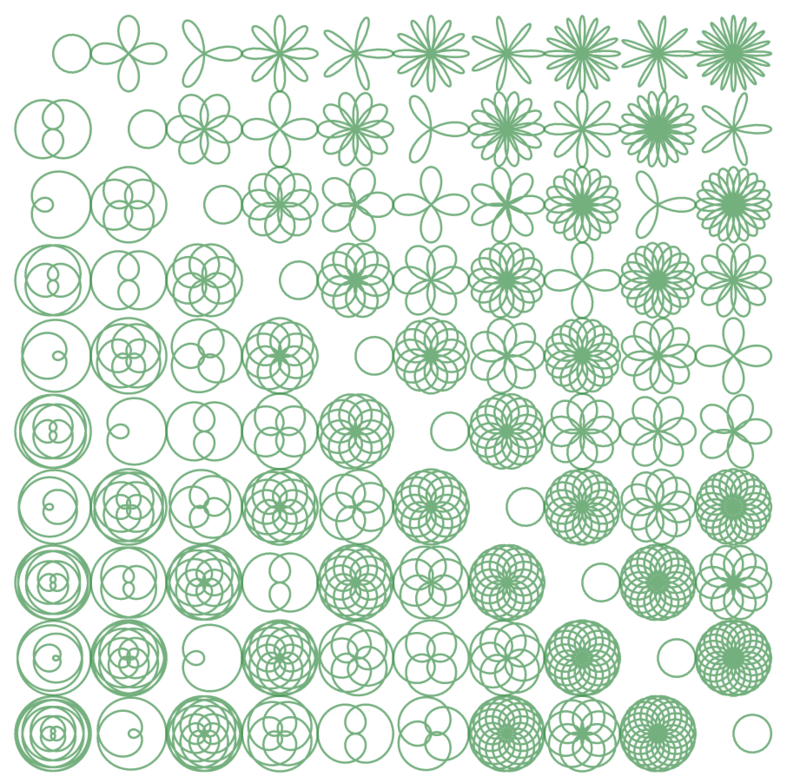 I can kind of see how to do it with one parametric but it isn’t quite how desmos works.